Now it’s Nokia’s Research Center turn to laugh at the face of this pathetic technology with their latest piece of innovation. They have created an amazing hydrophobic coating for phones which could change the way we use them. 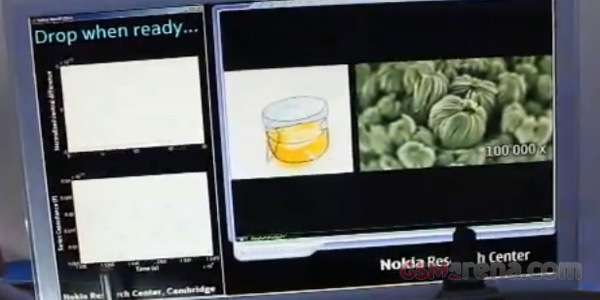 Nokia Research Center calls it “hydrophobic nanocoating”. They have applied it to the Nokia 700 and added a layer of nanostructures which contain a very thin layer of air in them and thus prevents the water from entering the surface. Pretty impressive. Watch the demo, we shot at Nokia World and see just how this special surface works. Yeah, we thought its really cool, too. As you heard from the Nokia representative, when this gets applied not only to the exterior of the phone, but also to its internals, we may finally have a truly water-resistant phone, without adding weight to it.